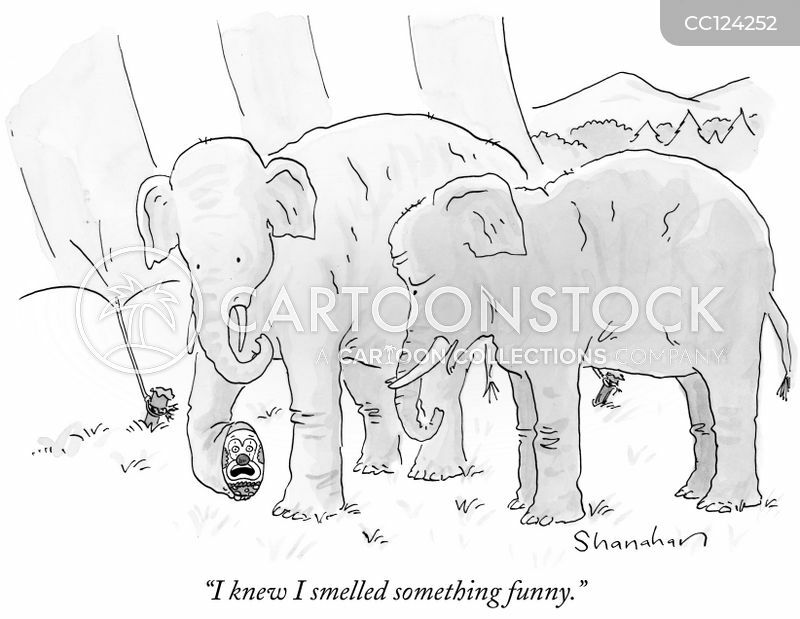 "I knew I smelled something funny." 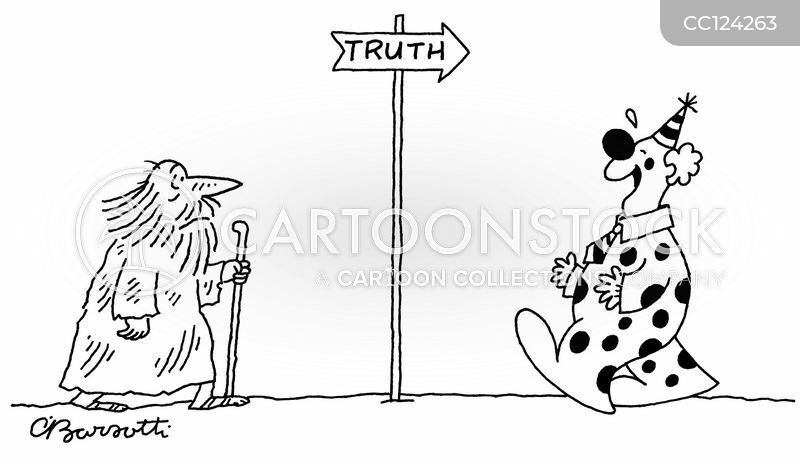 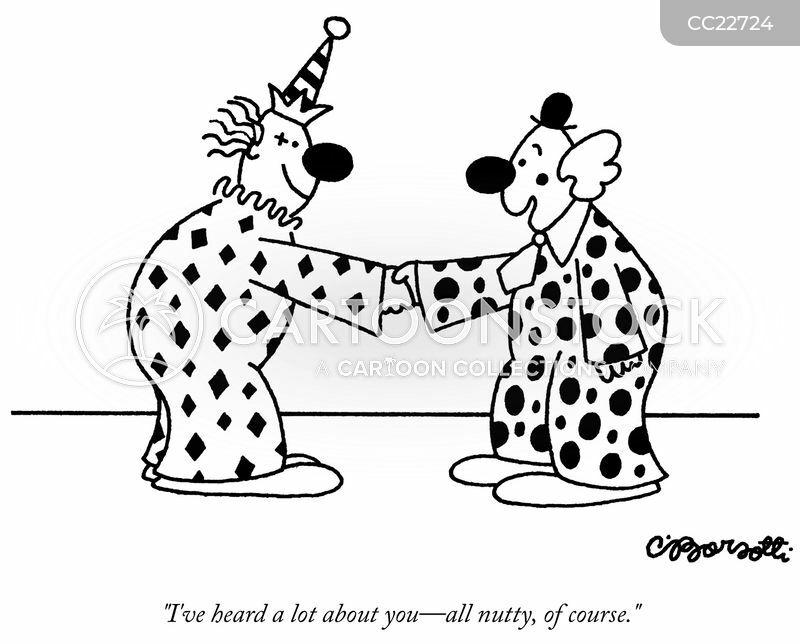 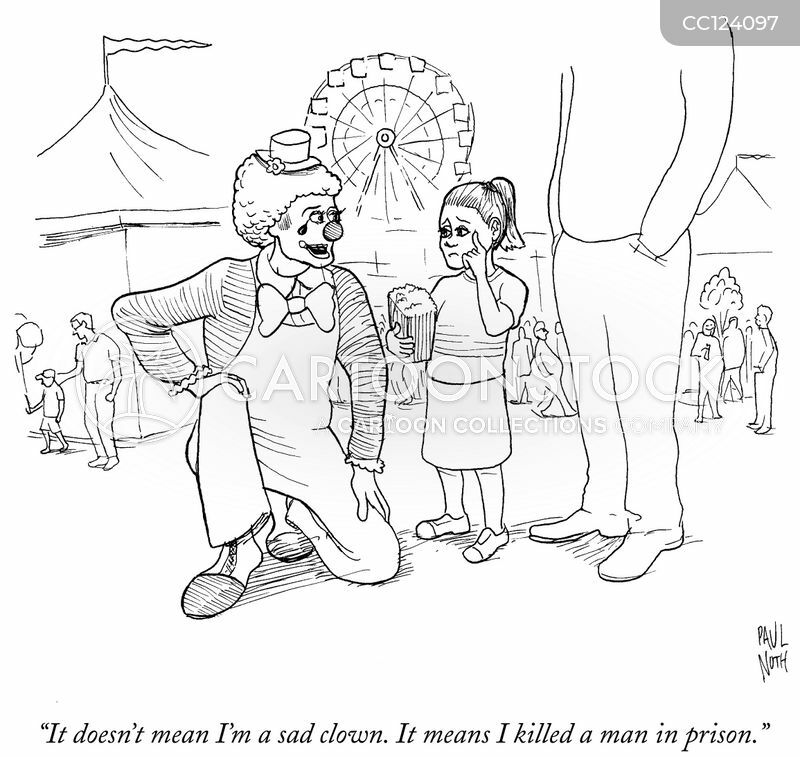 A man seeking truth encounters a clown. 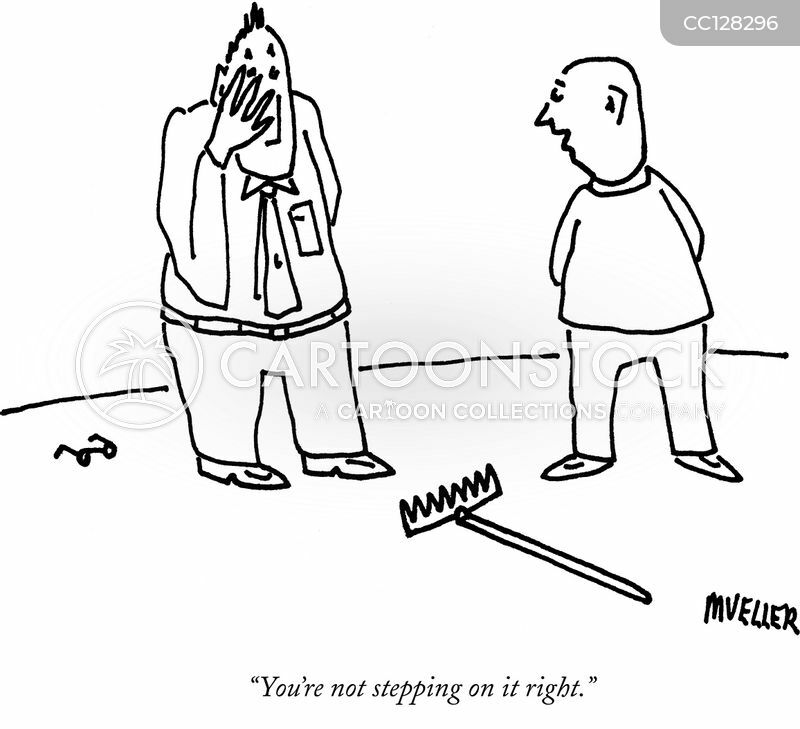 "You're not stepping on it right." 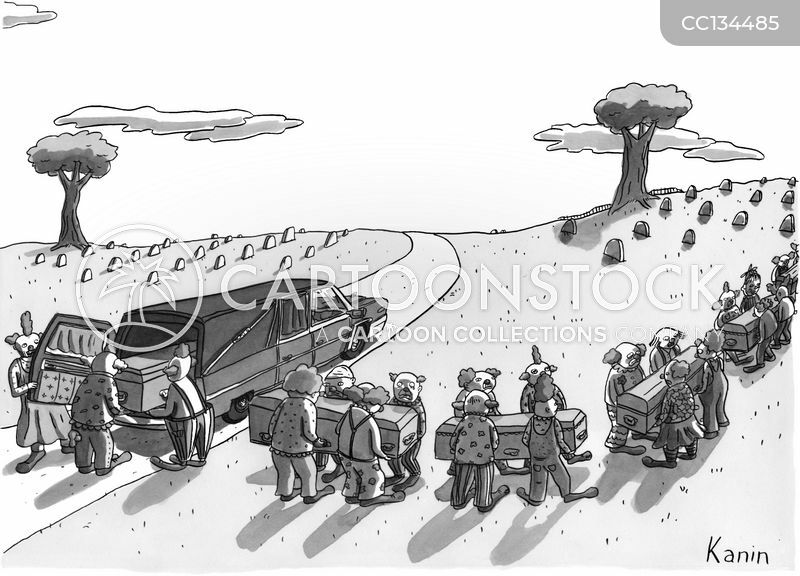 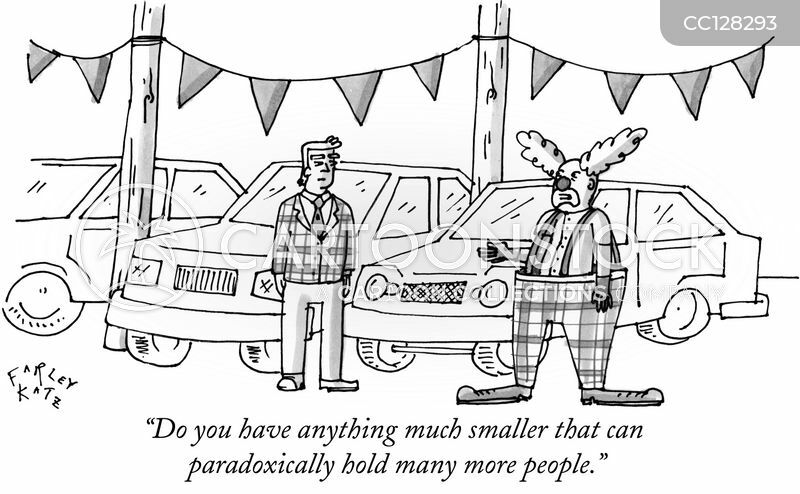 "Do you have anything much smaller that can paradoxically hold many more people." 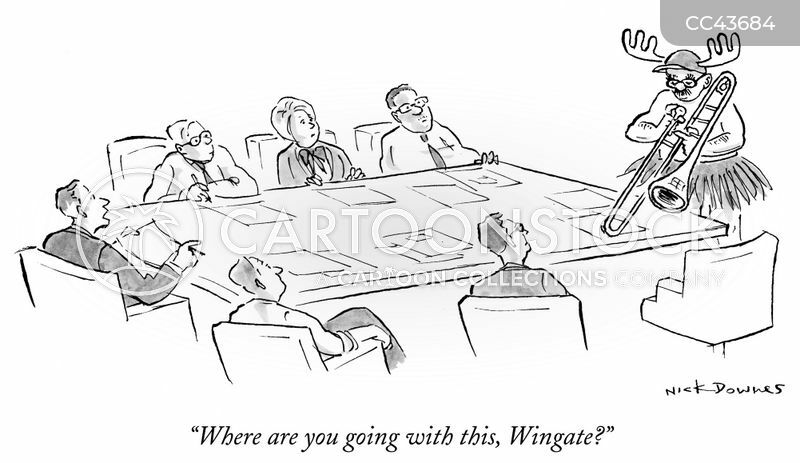 "Where are you going with this, Wingate?" 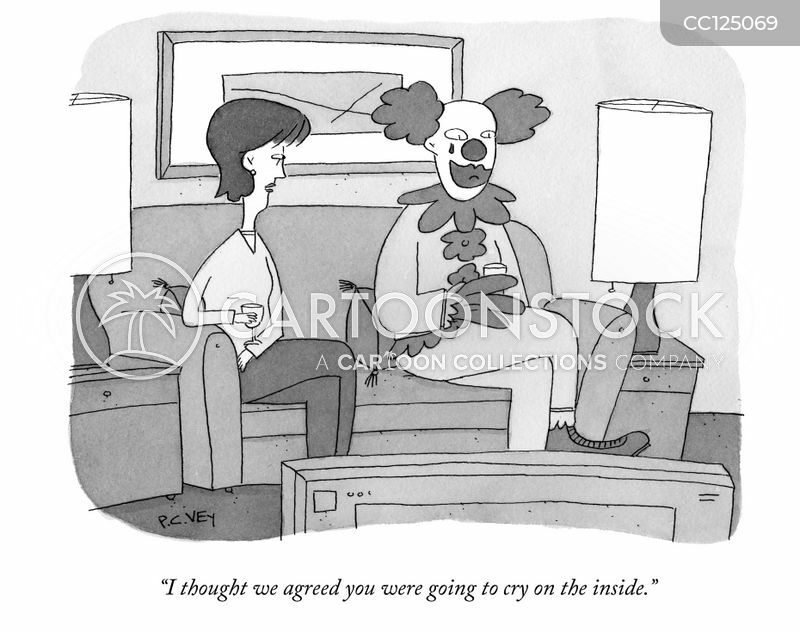 "I thought we agreed you were going to cry on the inside." 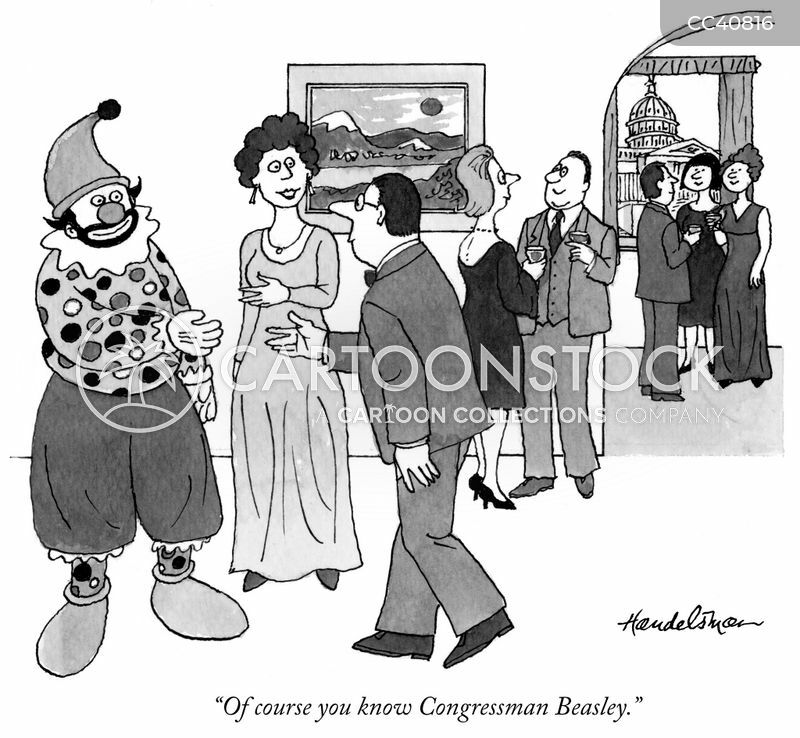 "Of course you know Congressman Beasley." 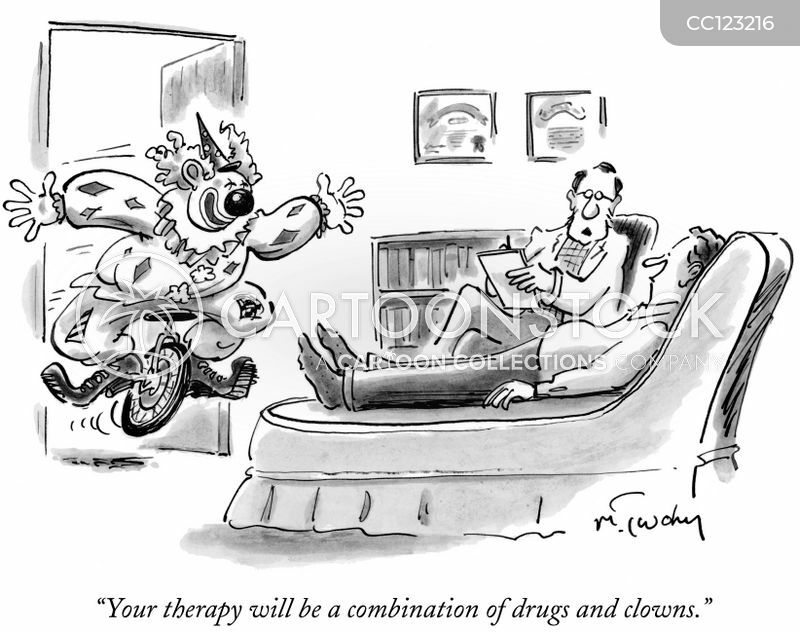 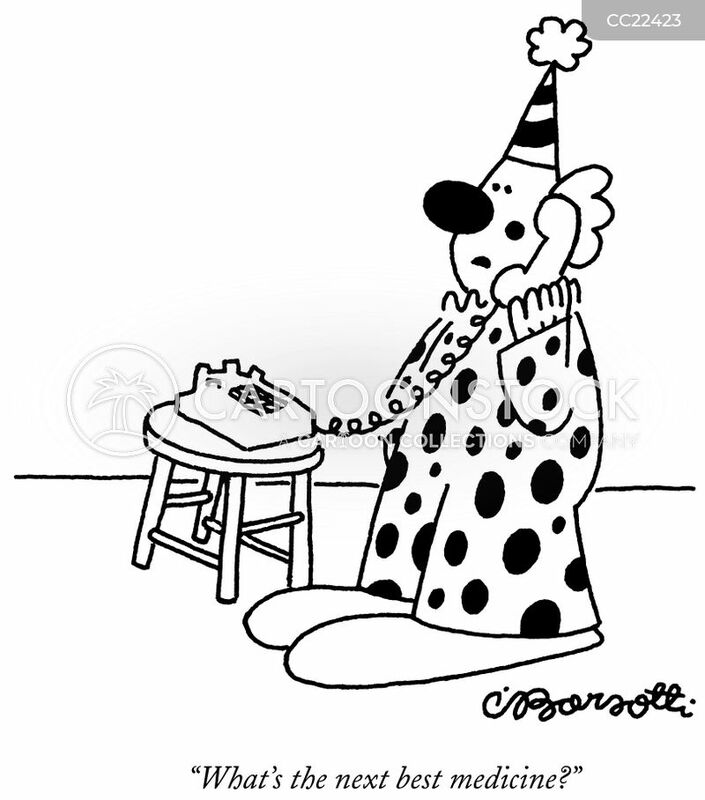 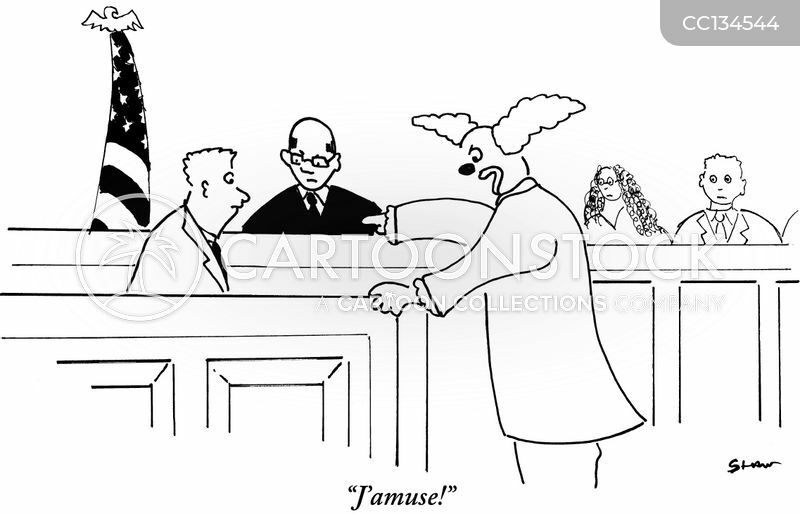 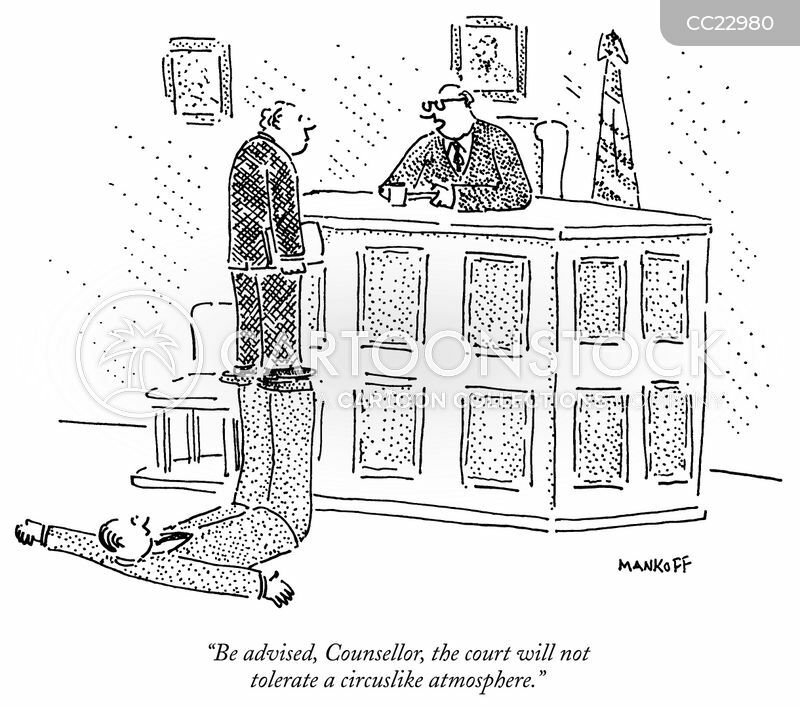 "Be advised, Counsellor, the court will not tolerate a circuslike atmosphere." 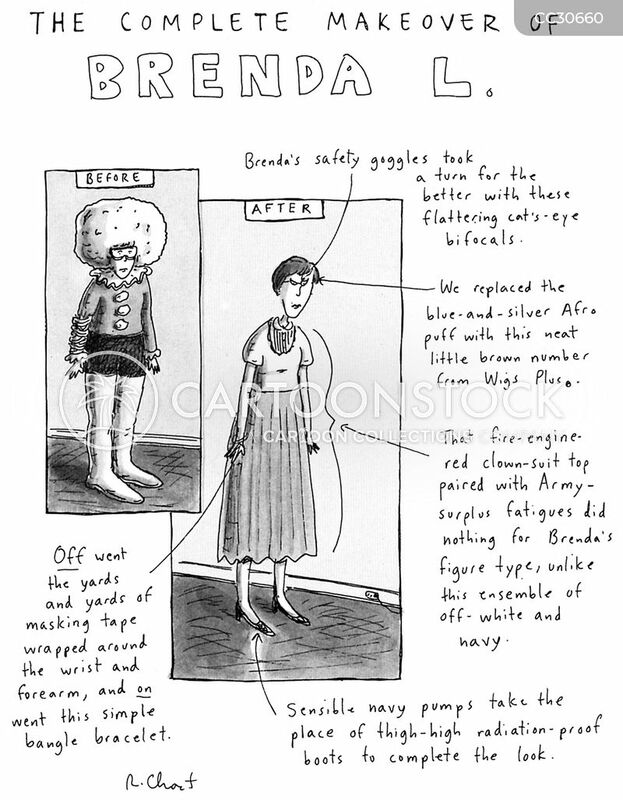 The Complete Makeover of Brenda L.
"If I have to explain the joke, it's not funny." 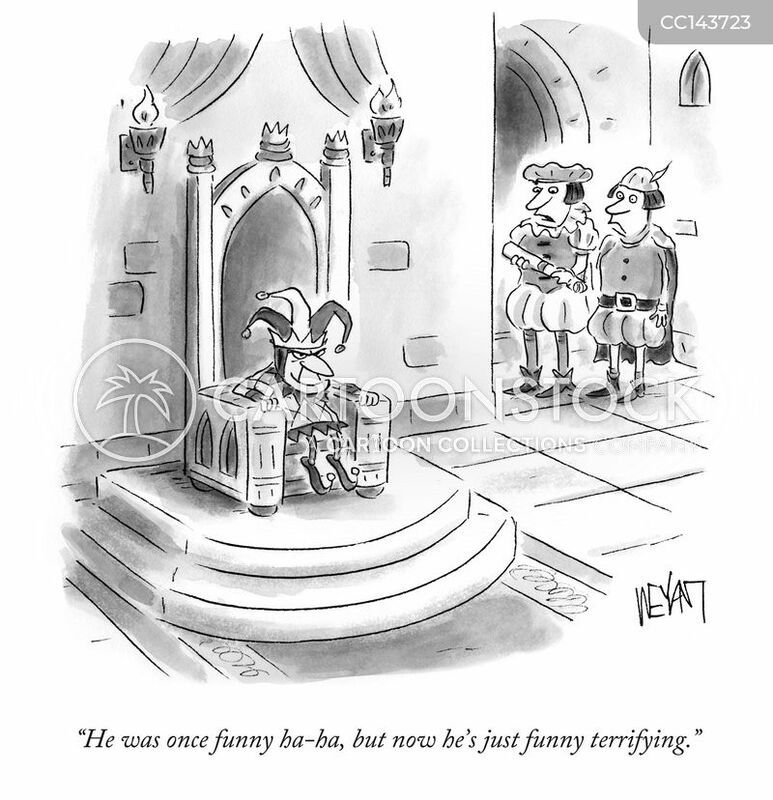 "He was once funny ha-ha, but now he's just funny terrifying." 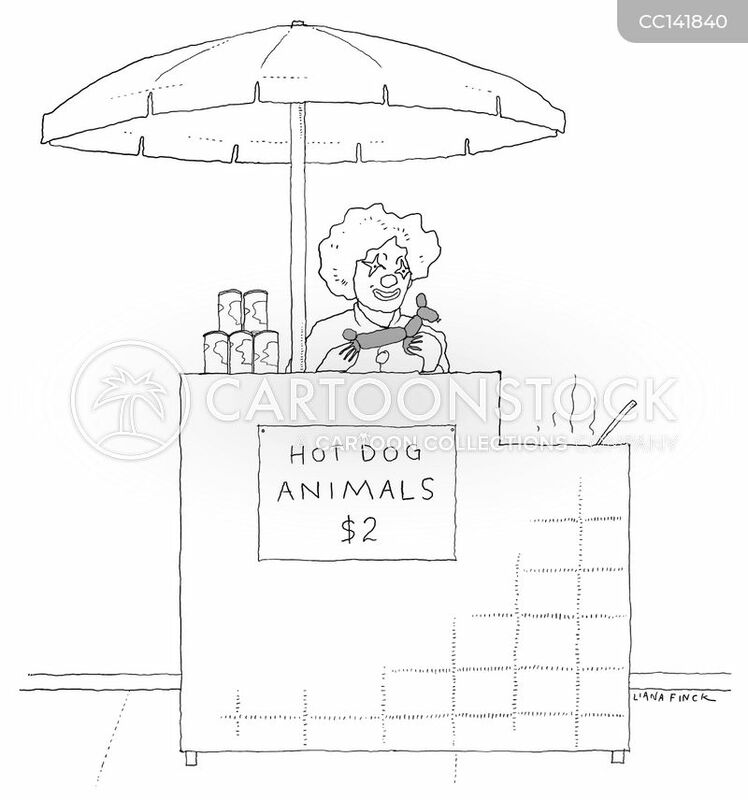 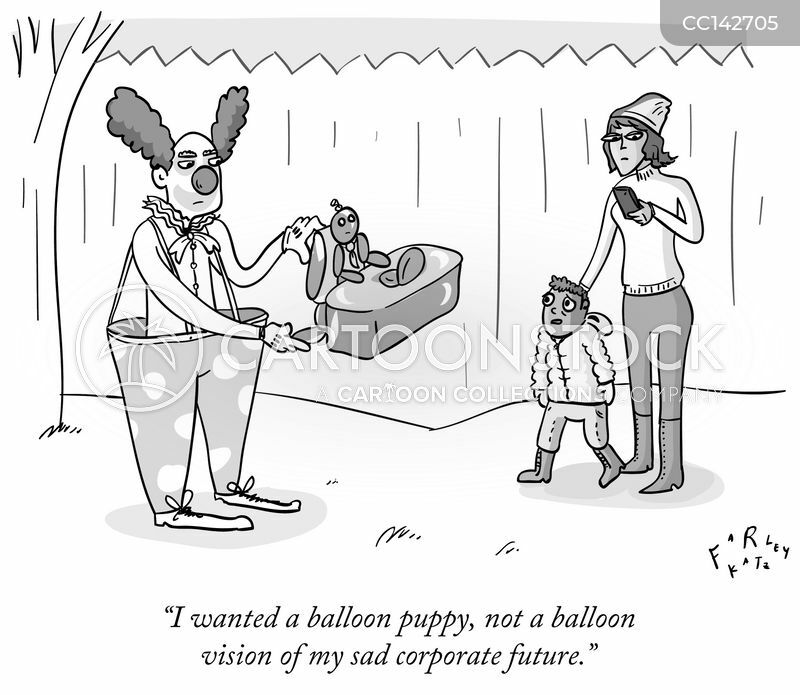 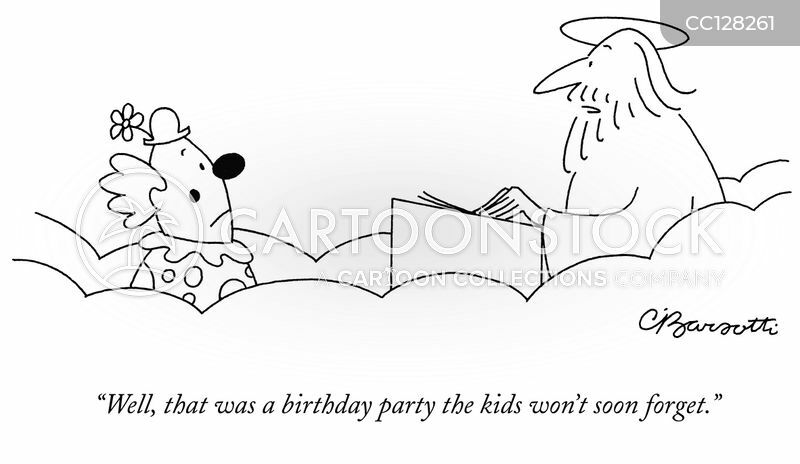 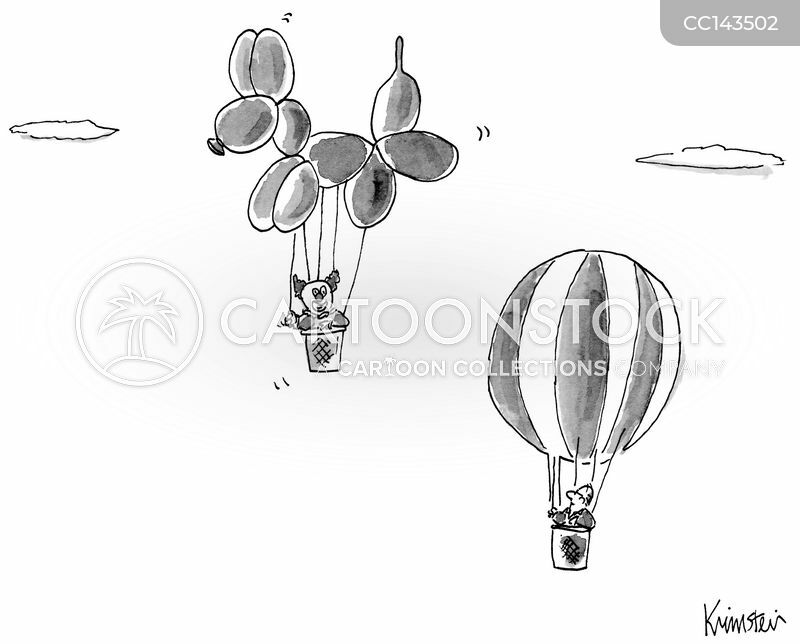 "I wanted a balloon puppy, not a balloon vision of my sad corporate future." 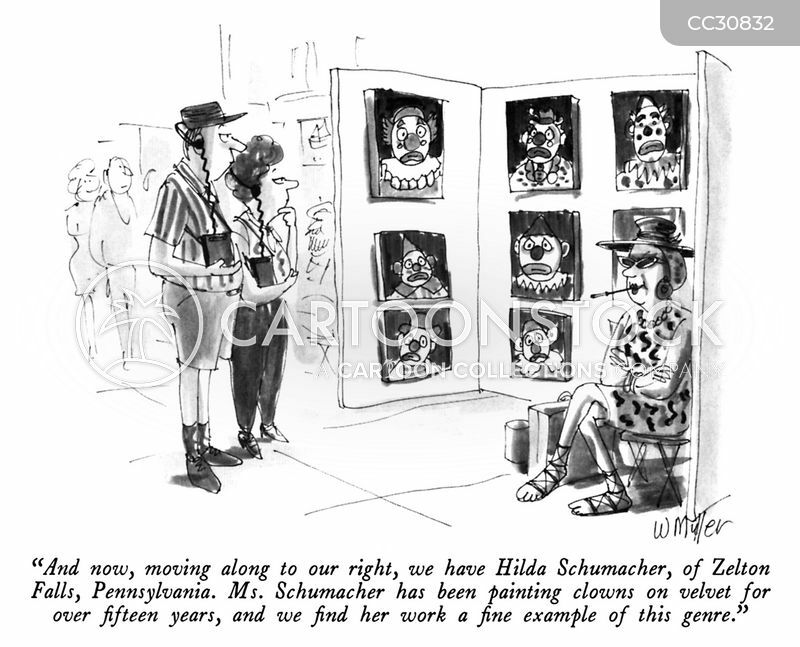 "And now, moving along to our right, we have Hilda Schumacher, of Zelton Falls, Pennsylvania. 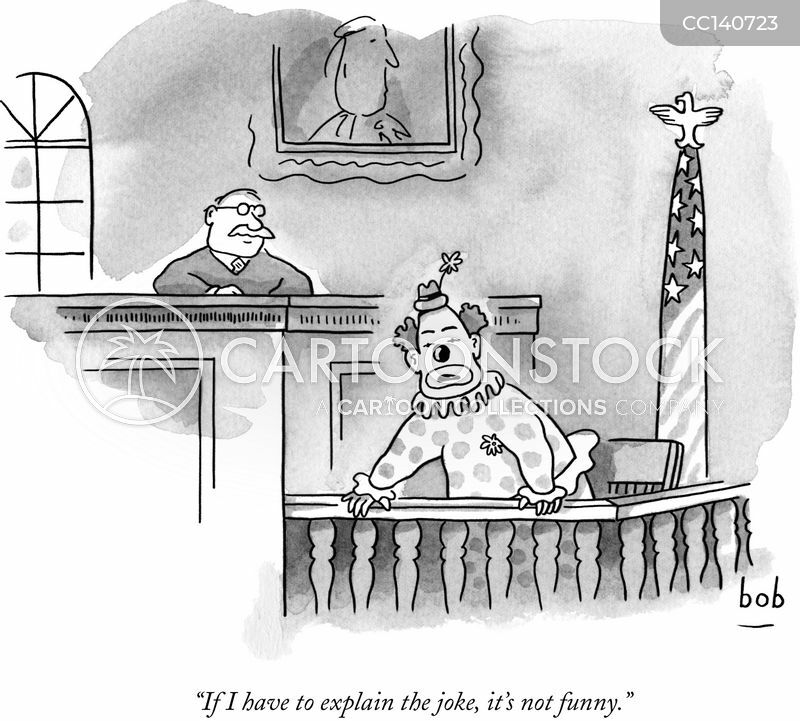 Ms. Schumacher has been painting clowns on velvet for over fifteen years, and we find her work a fine example of this genre." 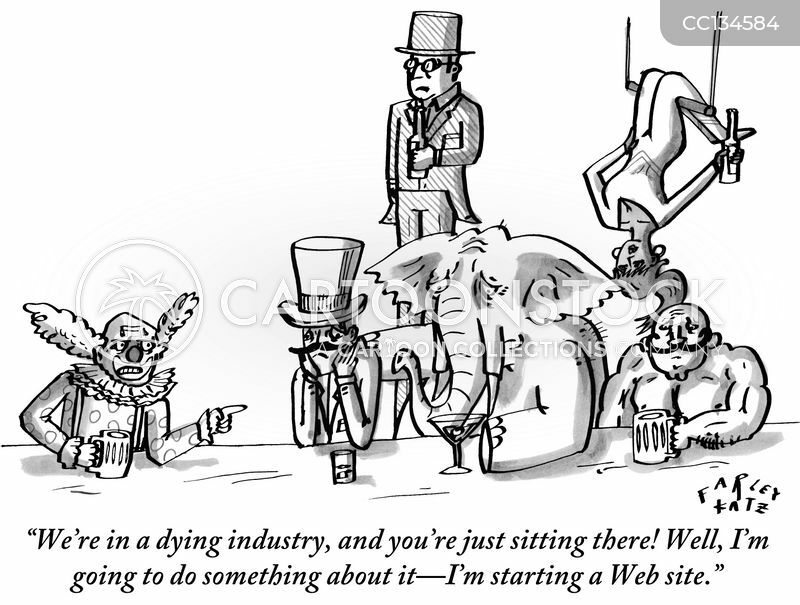 "We're in a dying industry, and you're just sitting there! 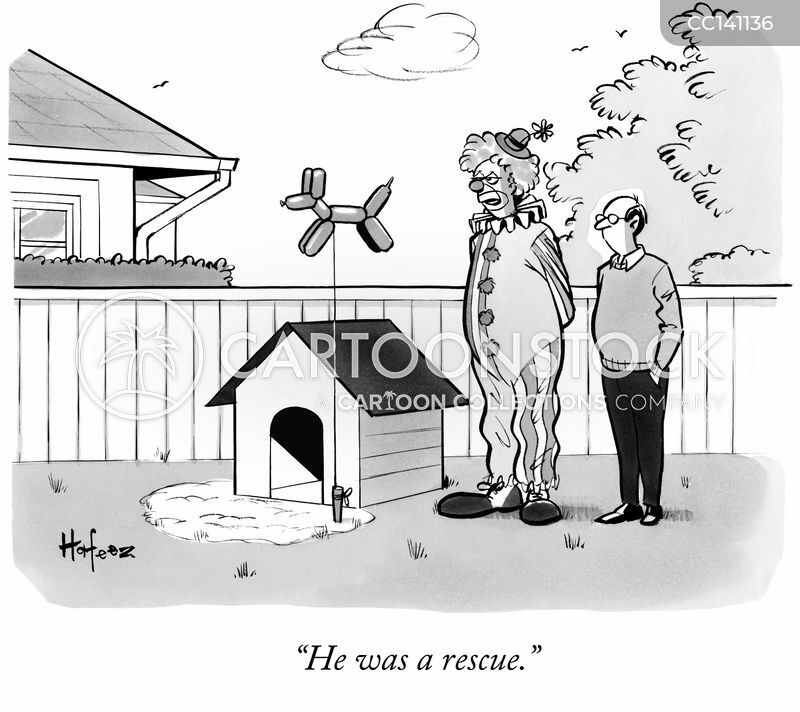 Well, I'm going to do something about it-I'm starting a Web site."